Call 325-307-3484 for Information about Our Commercial Metal Buildings! Harris Acoustics, Ltd. are acoustical contractors and drywall contractors that have been serving Abilene, TX since 1960. Burl Harris started the construction business with four employees on Woodard Street. Harris Acoustics built the building at 5447 South First Street and moved the construction operation to that location in 1965. The Company stayed at that location for thirty-seven years until April 2001, when Harris built a new building and relocated to 4266 South Treadaway. The company continues to expand at that location. Stop In & Inquire About Acoustical Contractors & Drywall Contractors! At Harris Acoustics, we offer remodeling and new construction services for commercial properties, including demolition, drywall, Dryvit Systems, insulation, acoustical ceilings, floor tile, metal studs, and metal buildings. 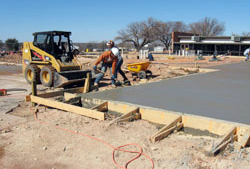 Our skilled contractors have performed general contracting services that suit commercial metal buildings, and we have served as subcontractors on numerous projects throughout West Texas over the past forty-seven years. 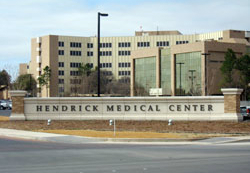 As drywall contractors and acoustical contractors, we have been performing construction services on numerous commercial metal buildings, universities, and hospitals throughout the Big Country, including Abilene Christian University, Hardin Simmons University, Sul Ross State University, Hendrick Medical Center, and Abilene Regional Medical Center and numerous projects at Dyess AFB. We also provide consulting and construction services for numerous churches. Harris Acoustics has recently started providing repair/remodeling services on some industrial projects. In 2008, we completed over $8.5 million in repair/reconstructive work in a six month time period at the Alon Refinery in Big Springs after the refinery had an explosion earlier that year. We have been involved in a wide range of projects over the years, ranging from street repairs to building and managing several motels, to intricate acoustical work at the ACU Fine Arts Building, and to designing and building the Willow Creek Par Three Golf Course almost fourteen years ago. Over the course of our long history, Burl Harris has organized an unrivaled management team for their experience and knowledge of the industry. Our acoustical contractors and drywall contractors are similarly experienced and trained to use the latest and most advanced tools and techniques in order to provide you with the best service imaginable. When you need commercial metal buildings, you need Harris Acoustics. As drywall contractors, we understand that our clients need resilient, quality structures that can be built quickly from the ground up. Our commercial metal buildings are built to last and customizable to your exact specifications. They are also cost-effective, saving you money as well as time. For more than half a century, Harris Acoustics has never failed to expand. 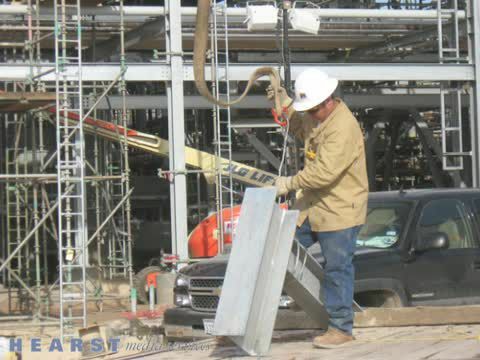 If you're in the market for acoustical contractors or drywall contractors for your commercial metal buildings, you can't do better than Harris Acoustics of Abilene, TX. Our reputation and experience speak for themselves. Harris Acoustics, Ltd. has been serving West Texas since 1960. We offer a wide variety of different services, from commercial new construction and remodeling to acoustical ceilings and metal buildings. Call today for everything from drywall to insulation to industrial work!